If you've ever applied for credit or a loan at any stage in your life it’s likely that you have a credit report against your name. A credit report records certain dealings you may have had with credit providers and contains a history of overdue debt, defaults and credit applications. It can be accessed by businesses and lenders to determine your suitability for a financial product, a line of credit or for a service, like a mobile phone plan. The information collected about you is used to determine your credit score, a three digit rating out of 1000 that reflects your overall creditworthiness. So, what exactly does a credit score say about you? In some ways, a credit score is a number that represents your overall financial housekeeping habits; it tells lenders and service providers how much risk you represent as a borrower by reviewing how you manage your financial responsibilities. 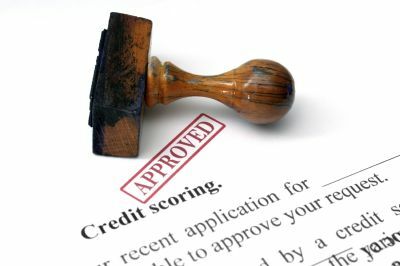 Your credit score is based on a range of factors such as: your age, income and employment history; car and home ownership; number of credit cards and credit providers; loans including home loans and mortgage offset accounts; payment habits on loans and services; overdue accounts on services and utilities; and bankruptcies or insolvencies, just to name a few. It is also influenced by records of your behaviour in relation to the number of credit applications you have made over a period of time i.e. if you have been shopping around for different credit options, whether you have outstanding notices or unused accounts, and if court judgments or a writ of summons exists under your name. Your credit score is most commonly used by lenders, who assess your score against their own lending rules when evaluating your application for a loan. Where you are approved for a loan, lenders may assign interest rates on the loan after evaluating your credit history. Financial institutions sometimes use credit information available to them to target their marketing. For example, if you have recently repaid a loan, you may find you are soon contacted with other offers of credit. Similarly, where your income increases, your existing financial institution may extend further facilities to you. How can you manage your credit score? Your credit report is subject to privacy legislation. You can find out your individual credit score and the factors that contribute to it by contacting a credit reporting body. Importantly, where you suspect errors in the information contained in your credit report, it pays to have these resolved so that they do not impact you in future. Perhaps there is an outstanding account you have forgotten about, or an old utilities bill that you haven’t paid? These factors can influence your access to credit and are worth attending to. In some cases, incorrect information may alert you to identity theft or cyber criminals. Credit may have been used under stolen identity. Remember, a credit report is the document containing the information about your credit history, and your credit score is the overall score assigned to you based on the information in your credit report. If you still have questions about how your credit history is measured and reported, you can find more information here.